ESI Center Eastern Europe was established in 2003 as a public-private partnership by the European Software Institute, Spain, Bulgarian Association of Software Companies and with the support of Bulgarian ICT Agency, UNDP-Bulgaria, USAID and ICT industry stakeholders. The mission of ESI CEE is to increase ICT professional skills and qualifications in Eastern European region implementing global leading strategic management and software engineering methodologies, to improve the industrial capacity and productivity and ICT business competitiveness. ESI CEE is specialized in providing training and certifications to ICT practitioners in the field of Quality Management, leading ICT projects & teams, information security, strategic ICT business planning and management. Since its establishment, ESI CEE has a close collaboration with 4 Bulgarian Universities. ESI CEE provides academic and executive training in quality models, software design, digitized ecosystems and management, cyber security and threats etc. ESI CEE actively engages with advanced students and researchers from Computer Science, Software Engineering, Artificial Intelligence (and Machine Learning) programs. ESI CEE’s experts are jurors and national jury of WSA contests. ESI CEE’s expert is a Steering Committee member of the EC CEN Workshop in ICT-skills and a national representative in CEN on standardization of e-competences. ESI is to arrange Mobile Application development course in Bulgaria as part of the project activities, and, as the organization have obtained a rich experience of teaching mobile apps development courses. 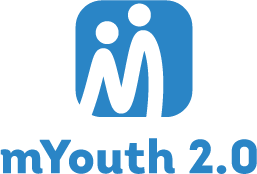 The Bulgarian partner will also implement some promotional activities for the mYouth project and is to join activities in mobility for youth by sending young people to different training opportunities.